A 29-storey mixed use building of contemporary architectural design, comprising a 8-storey podium. Nearby parks include St. James Park, Moss Park and Sculpture Gardens. 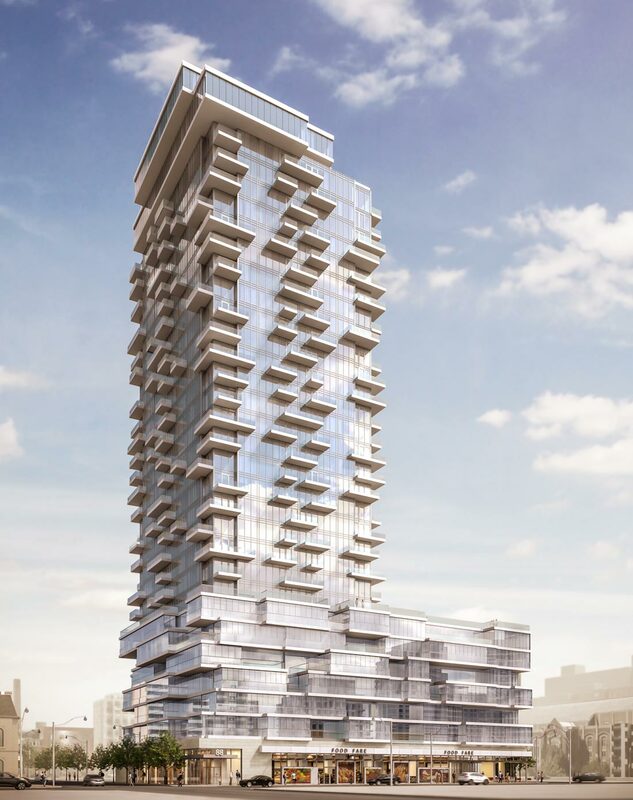 Designed by award winning architects, Page and Steele/IBl, 88 North is a stunning 26-storey glass tower with a sculptural composition. The 7-storey glass podium features 2-storey lofts with double volume living areas as well as single story suites with a variety of balconies: open, enclosed and double height enclosed balconies that can be furnished and used all year round. Surrounding the entrance to the lobby, you will encounter a glazed screen wall that brings warmth to the street. You will find continuous glass canopies on Shuter Street sheltering pedestrians and shoppers, and a green canopy of trees along Mutual Street, which make the neighbourhood even more inviting. Inside, discover a spectacular elegant lobby designed by world renowned Toronto designers, Cecconi-Simone, with a concierge available to assist with guests, delivery of parcels, programming of the amenities, and much more. 88 North will be an exciting urban neighbourhood with an entire block filled with residential homes, a park designed by Claude Cormier, unique eclectic shopping, innovative fine and casual dining, a boutique hotel, and a fitness club that will rival the best clubs in Toronto . Oversized windows and retractable balcony windows on suites with enclosed and double height enclosed balconies as per plan.